As many as 350 houses have been submerged since yesterday in different parts of Mizoram in the flash floods. 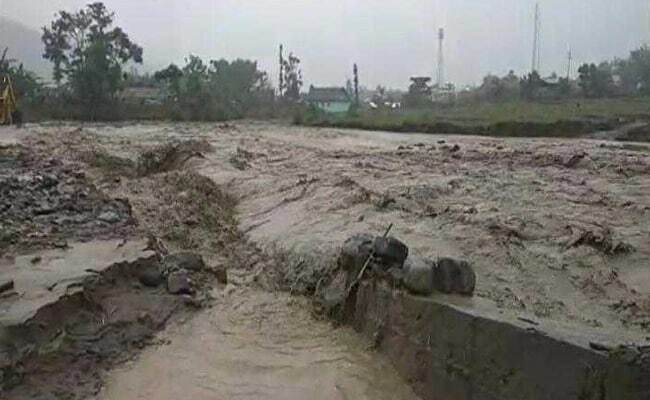 Aizawl: Eight persons have been killed and six others are missing after flash floods caused by heavy rainfall wrecked havoc at Tlabung in Mizoram's Lunglei district. 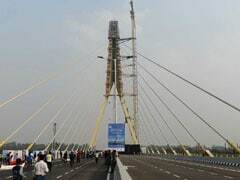 National Highway 54, which links the state with Assam, has been cut off at different places due to landslides in Lunglei, Siaha, Lawngtlai, Serchhip and Champhai districts, officials said today. As many as 350 houses have been submerged since yesterday in different parts of the state in the flash floods, State Urban Development and Poverty Alleviation Minister Zodintluanga said. Eight persons were killed in south Marpara and Phairuangkai villages of Lunglei district, the minister said, adding that six others are still missing. Seventy-four buildings were submerged after the waters of Khawthlangtuipui river flooded Tlabung town. Public works department officials said 84 families have been evacuated from the area.